This stair by Ong & Ong in the Blair Road Residence is the one that really caught my eye when I first visited StairPorn.org, so naturally I had to attempt it early in the series. It was quite a challenge! The treads and risers were quite simple, but the supports didn’t work quite the way I had hoped. 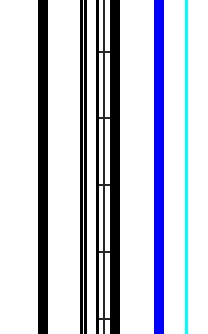 I couldn’t use the Railing tool like I had hoped because of it’s lack to use a Top host when you are using the “Post Per Tread” feature. So instead I ended up using a Generic Model Component for the support threads and simple made the length what it needed to be by hand. I think this stair is beautiful beyond belief and was very happy with the results! This is a tip that was written specifically for AECBytes.com’s Tips and Tricks newsletter which is a monthly publication from http://www.aecbytes.com/. 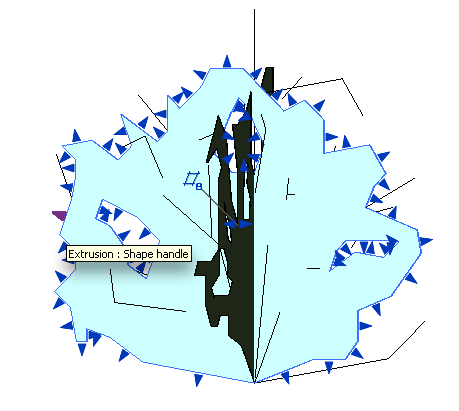 The Article is also available to view at: http://www.aecbytes.com/tipsandtricks/2009/issue44-revit.html. Thanks to AECBytes.com for the opportunity to write for this publication, and thanks to all my readers for making this such a succes thus far! Most of the epiphanies I have for writing tips come from helping people trying to solve unique Revit problems. You’ve seen them before. There’s something that your boss is asking for, constantly pushing the boundaries of what we are doing with Revit and adding to the ever growing wish list. This little trick to tagging items in a legend is just that type of boundary pushing we like to do! 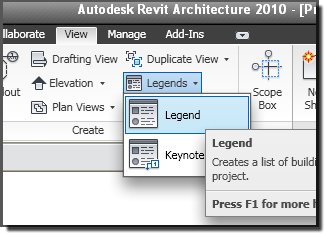 Looking up Legends in Revit help will indicate what Autodesk had in mind when they created Legend views: symbolic model representations with descriptive text, floor and wall sections with material tags, etc, etc. What about a visual door type legend? Excellent, place a picture of the door and… type all the information? 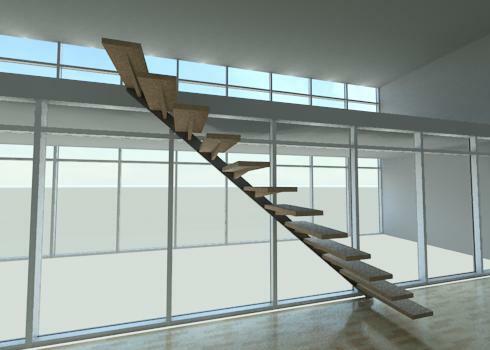 Well that’s not very Revit like (well, actually it is rather Revit like)! What if we just want to tag the door so that if the information on the door changes, the legend updates automagically? Let’s see what we can do. The easy part. For this demonstration let’s just place a few Door types onto the Legend View. 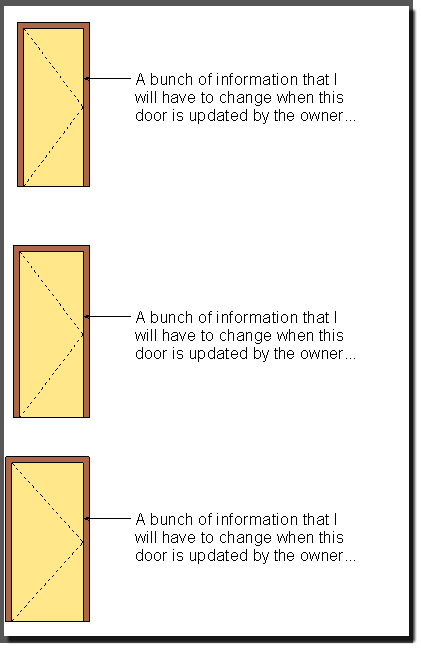 At this point we would normally type in a bunch of information that we have to change every time we update the doors! However, let’s just tag it instead. Except, we can’t. The Tag command, while selectable, does not actually land a tag on our door! What’s this? A workaround is in order I believe. You may have noticed that the only tag you can actually use in the Legend View are Material Tags. Well, this is where the workaround comes into play. 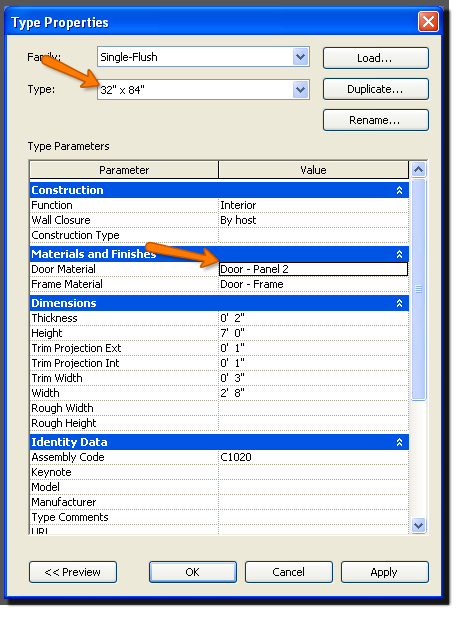 All that is really needed is a material for each door type that contains a parameter (shared if you want to make this improper use of materials as proper as possible or you can cheat and use the comment or description parameter) for a new material tag to read. 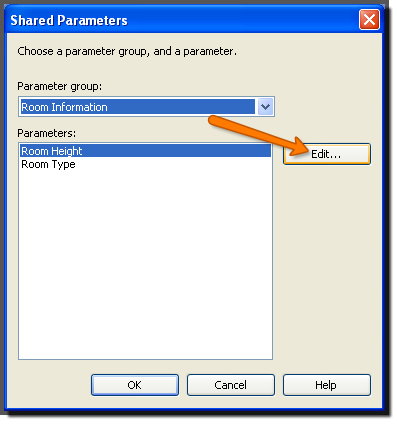 The parameter will be text and contain the information we want the “tagged” door to contain. “Carl.. this is a great idea and all, but my project has a bajillion door types.” First of all, wow, that’s a lot of sheets devoted to just doors. Second, then this may not be the solution for you. However, if you have 10-20 door types in your project this is not all that hard to work with. Let me show you how. …and then with that tag selected choose Edit Family. 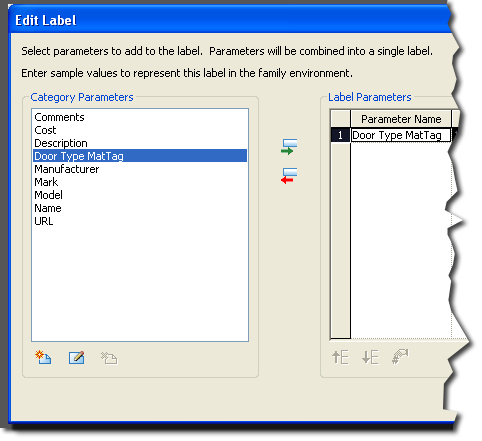 This will open the family for editing and allow us to assign our own parameter to the label in the tag. 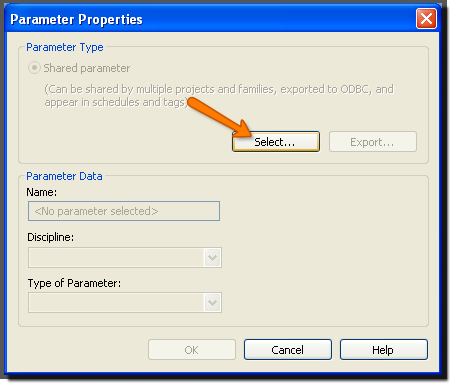 Now select the label and choose Edit Label to access the parameter list for this label. …then choose Select… to access your SP file. If you already have an SP file loaded, you will see your SPs available here. 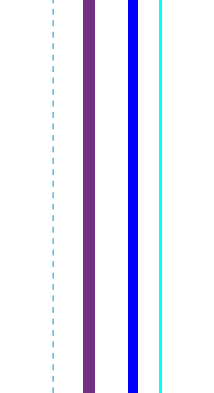 Most likely you do not have a parameter for this, so click Edit… to add one. If you already have an SP file, use it (unless you don’t want to add new SPs to your file). If not, then go ahead and create a new SP file and place it somewhere you will remember the location of. 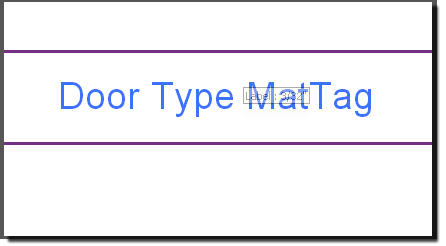 I am going to add a New Group to my SP file called Door Info and place a New Parameter called Door Type MatTag using Text as the parameter type. With the new tag now parameterized and labeled up, we save it as our own material tag (name it something that makes sense) and load it into the project. Select the tag and swap in the new tag we just created from the Type Selection drop down. “Great Carl, we just put this tag in and it still has a giant ‘?’ next to it.” Excellent that means we’re not done yet! Now we need to load the SP we made into the project. Be sure we place this SP in the Materials category. 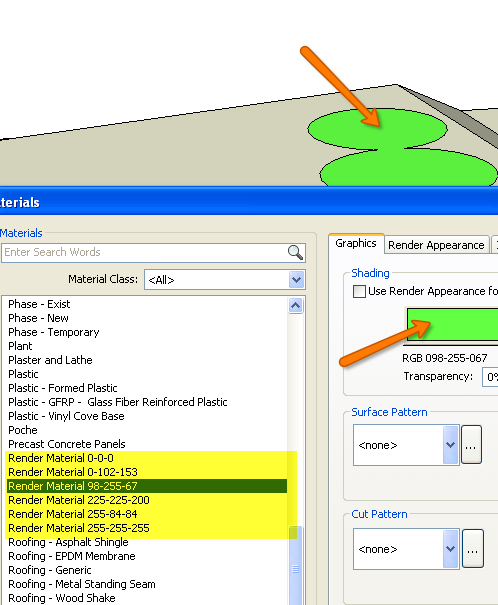 Now we can see that our parameter shows up in the Materials > Identity Tab. If we modify this parameter, it updates in our Legend. However, notice that it updates all of our tags! This is where the real work comes in if you want to tag this way. 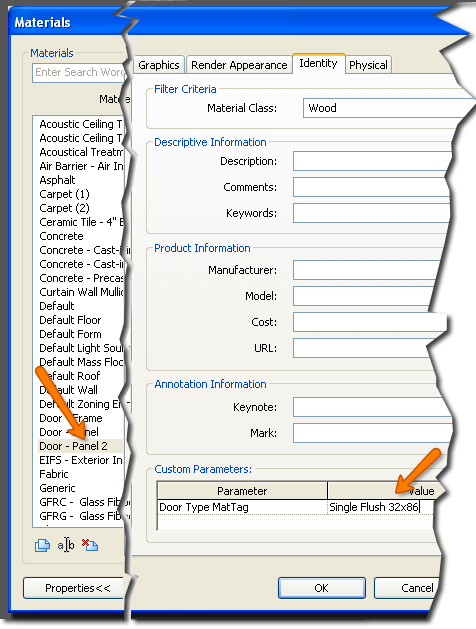 You will need to create a new material for each of the door types you want to tag. 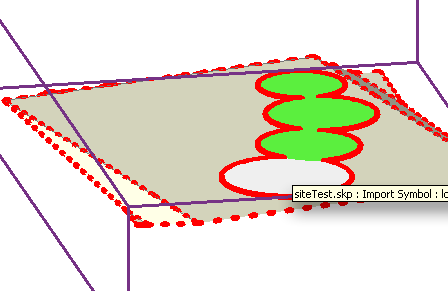 Just for example, I Duplicated another material, and changed it’s Door Type MatTag parameter. Then we need to update the door type to reflect the correct panel material (since we tagged the material in this case) so that the tag reads the correct parameter. 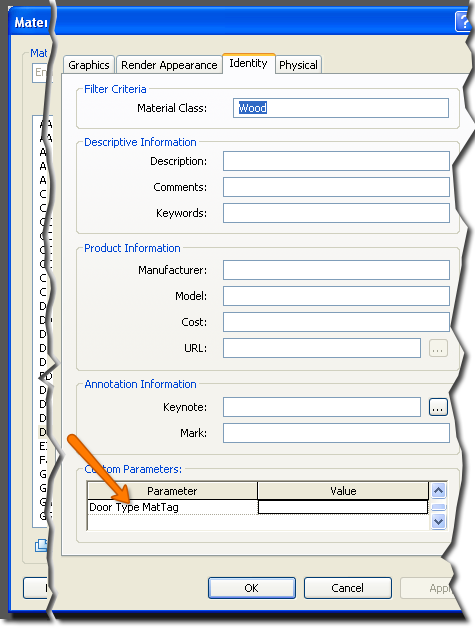 If the tag turns back into the magical, mystical ‘?’ after you change the material, then you simply need to re tag the door in the legend view (using Material Tag of course)to get the information back. That’s it… that’s all you need to do to be able to tag legend components in your legend view. Now, some of you are saying “Not worth it, too tedious.” That’s ok, when you need to remember how to do it because you client/boss/manager needs a schedule like this, this tip will still be sitting right here, waiting for you! Thanks again for stopping by. 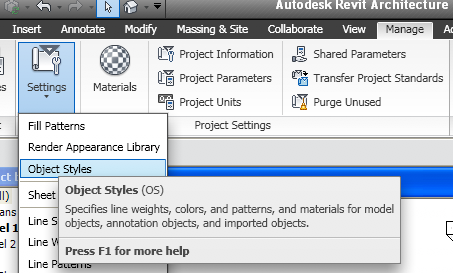 I hope you’ve learned something useful today and that you come back again for another, Revit TotD! 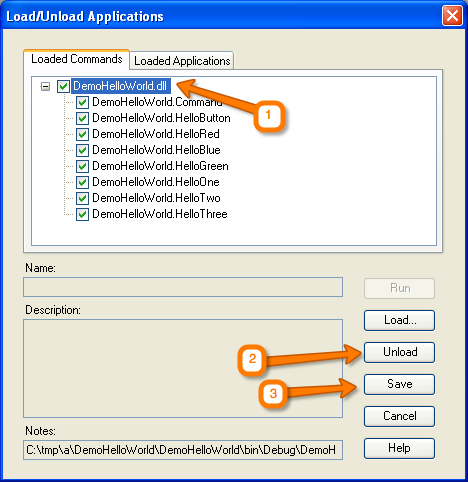 Another short and sweet tip, this one dealing with an easy way to manager your add-ins. If you are an add-in hog, you may get tired of editing your Revit.ini file every time you load and unload an add-in for Revit. 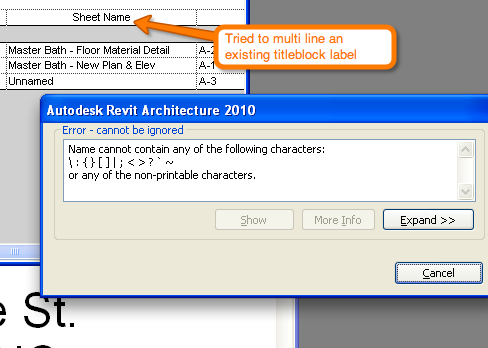 Well, with this simple little tool, you can have all the work done for you from inside Revit! EDIT: Autodesk has made a few changes to their site. SImply searching for “Revit SDK” no longer produces the link results it used to. However, a simple GOOGLE search for the same query does produce this link which is exactly what you need. Enjoy! The first link should be a link to the developer’s center. Follow that link. 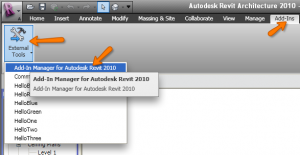 Near the bottom of the bage there is a link to the Revit 2010 SDK. Download and install that file. In the install directory, there is a directory called “Add-In Manager” containing a .MSI file, install that. 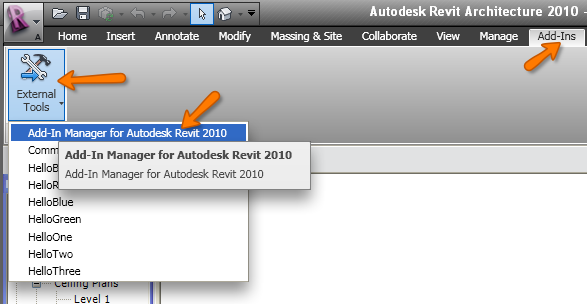 You should now have the Revit 2010 Add-In Manager available from the Add-Ins menu in your ribbon. You will need to have a project open to access the tool. 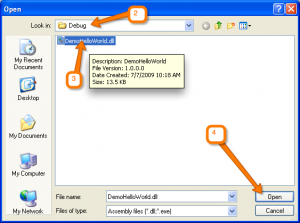 With a project open, go to Add-Ins > External Tools > Add-In Manager for Revit 2010. 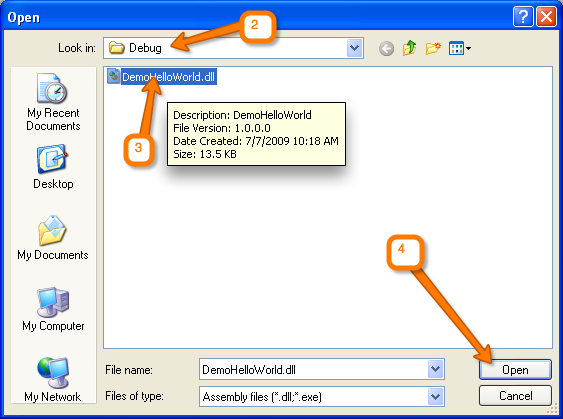 Browse to the location of the Add-In’s .DLL file. 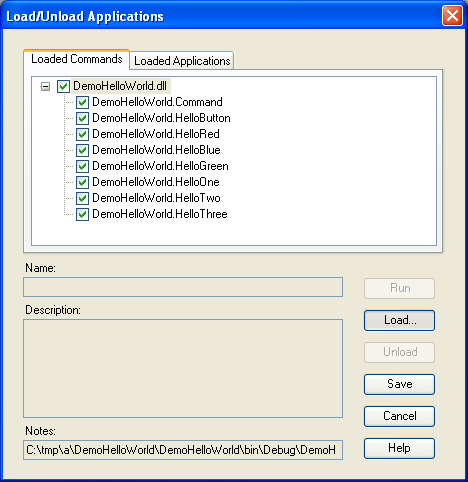 Select the Command or Application you wish to Unload. 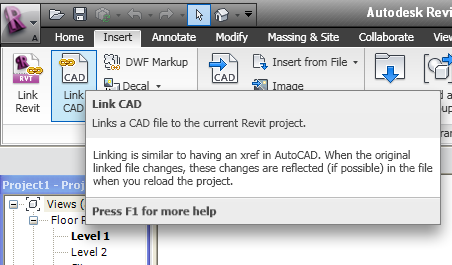 Both methods will require you to restart revit before the changes take effect, but at least you don’t have to edit the Revit.ini file! 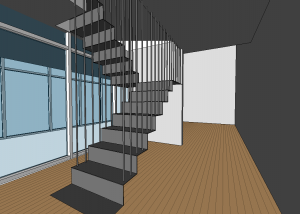 Thanks for stopping by again and I hope to see you next time for another Revit TotD! Another simple, quick yet useful tip today! 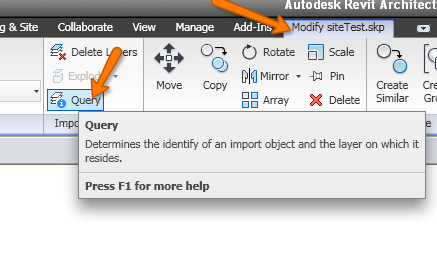 A while back we mentioned Sketchup in our Topo tip, today I’m going to show you how to assign a material to that topo (or any object really) that you bring in to Revit from Sketchup. Select the different materials until you find one that matches the Shaded color appearance. 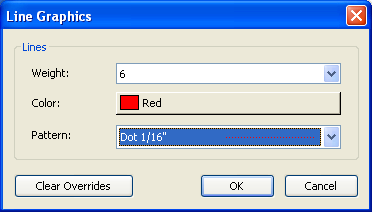 Change the shaded color to verify you have the correct material. Once you know it is the correct material, rename the material and change any property you wish! 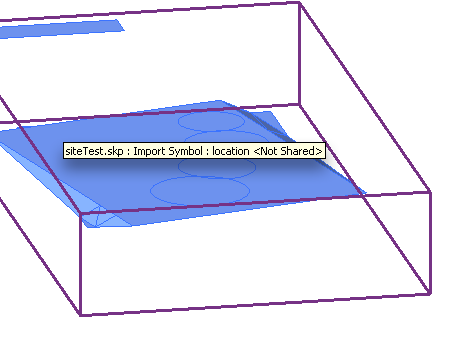 Select the SKP object in the model (you may need a view other than Floor Plan to see what you want to see). 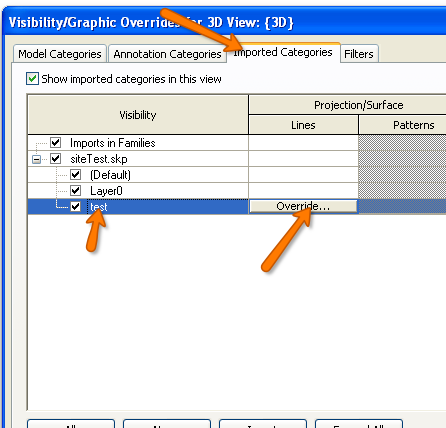 Open the Visibility Graphics dialog (type ‘VG‘) and find the Layer/Subcategory that the object you queried resides on. It will be under the Imported Objects tab. Well, hope that didn’t hurt too bad! Note that while there are better methods to use on imports from 3DS and DWG, this method will still work for almost all imported 3D objects with materials! Thanks again for stopping by, and I hope to see you again, for another Revit TotD! So I was turned on (no pun intended) to this site (http://stairporn.org)a couple weeks ago and I am taking upon myself to start making some Revit versions of these stairs. A challenge, I like! I think it’s a good start! 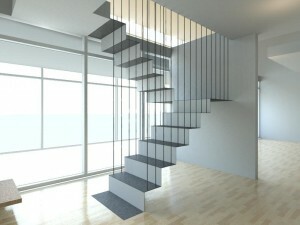 Like these stairs? Want to use them in your project? Download them here! 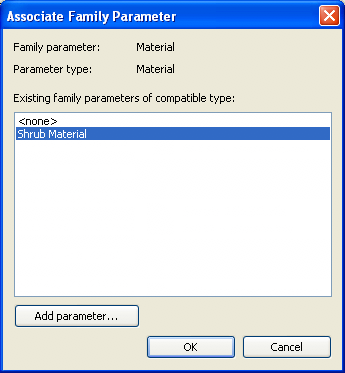 So to wrap up this series on Family Material application, today I am going to show how to apply materials through a parameter in the family. New under the Parameters section. Name the parameter, group it under whatever category you would like. BE SURE IT IS A MATERIAL PARAMETER! 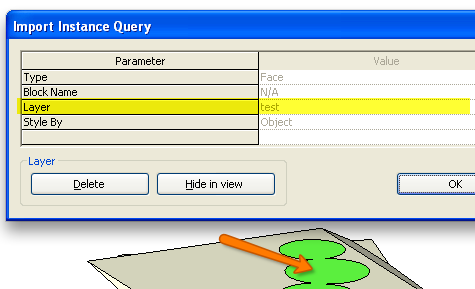 Select the object to have the material parameter applied to it. Go to the element properties. 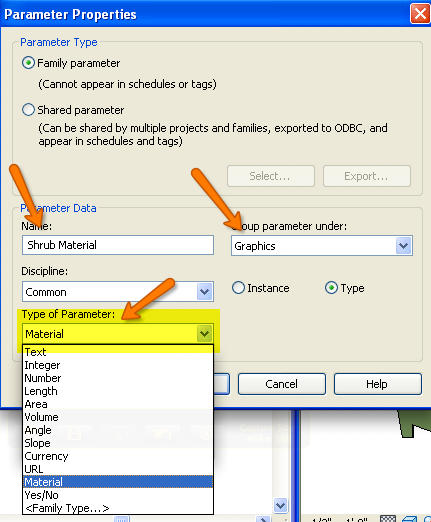 Associate the Material parameter of the object with the material parameter we just made. Notice that the Value is now inactive (grayed out) and the ‘=’ appears to indicate the association is made. 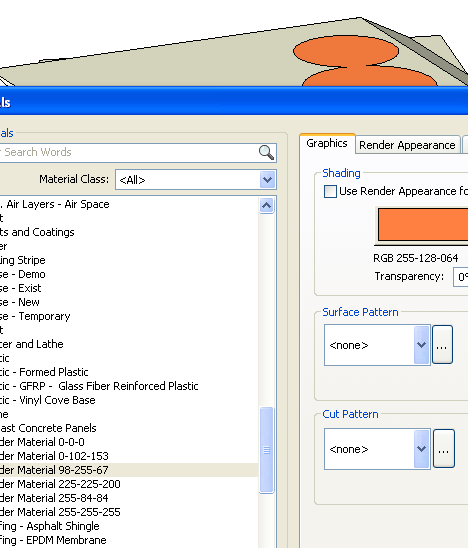 Now when ever we change the material parameter in the Types dialog, you will change the material of that object. 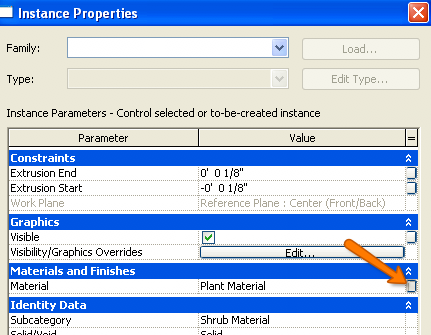 When you need different materials applied to objects in the same family file, based on different types or based on the instance. This one depends on how you created the parameter. 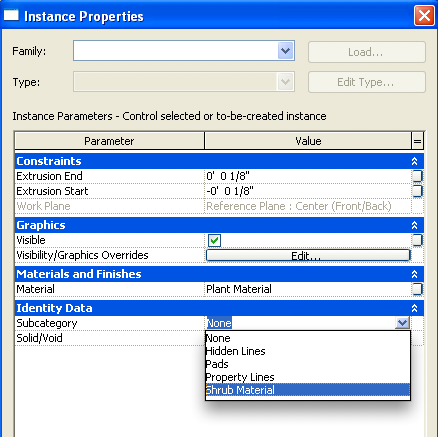 Instance Parameter: select the object, change the material parameter in the Element Properties. 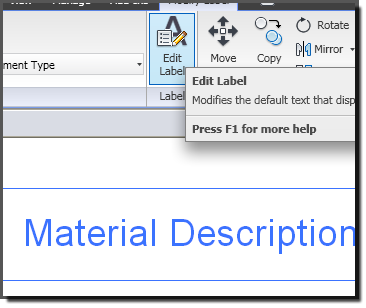 Type Parameter: change the type from the type selection combobox to reflect which material you assigned in the family creator. Whether it is instance or type parameter depends on how you want the family to act. 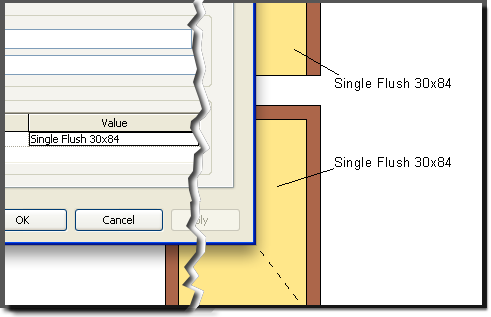 The difference between the two is beyond the scope of this tip, but a quick for instance would be do you want the material to be controlled by the type (ie: Porch Lamp – Bronze, Porch Lamp – Black types available from the drop down menu or do you want each individual instance to be changeable (for highly custom applications)). A few things you should know about this method: It can be combined with the Subcategory method to create a very rich family in terms of flexibility. That wraps up our Family Material APplication series. I hope that you have learned something but most importatnly I hope you enjoyed these little tips, and I hope to see you back for more Revit TotDs! Yesterday I showed you how to directly apply materials to objects in your families and the reasons to do such a thing. Today I’m going to do the same thing, except we’ll be talking about the Subcategory approach. Name the subcategory and be sure it is being created in the correct Category (some family types have multiple Category Controls). 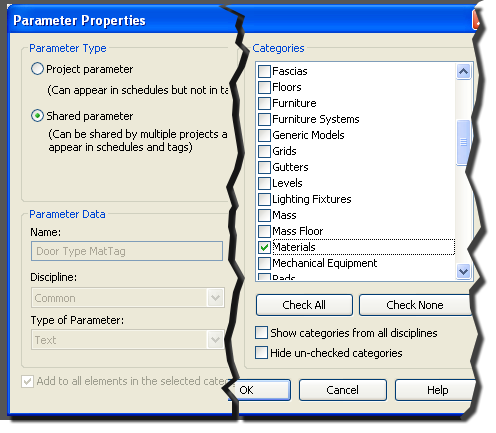 You can start to see in this dialog why subcategories may be more beneficial than direct application of materials. 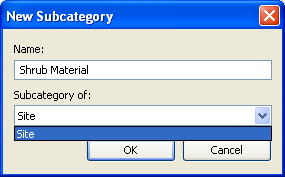 Select the object(s) to be added to the subcategory. Select the subcategory that the object belongs to in the combobox. When all instances of this object need to appear the same in rendering. Look for the category that the family is in and expand that branch. 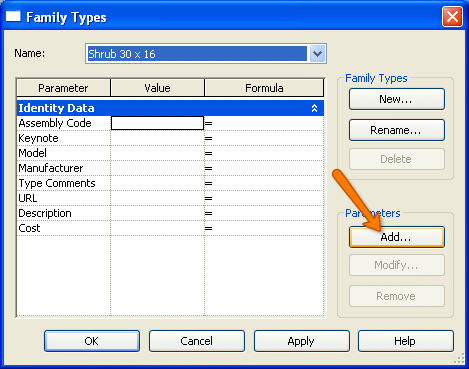 Change the material of the Subcategory that you need to modify for that family. In my opinion, you should ALWAYS use this method over direct application of the material since it allows you to control so many more aspects of the objects in your family (like line weights, visibility, etc). Note that we no longer have the duplicate issue with Subcategories that we had with the multiple Materials. 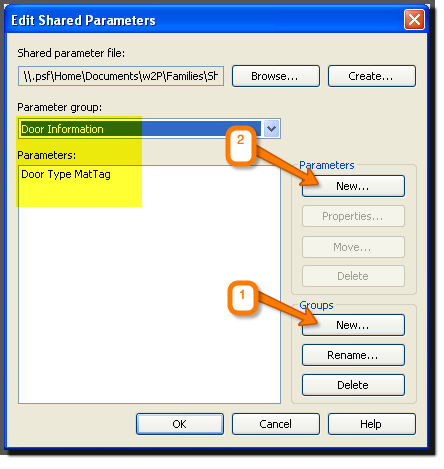 If you have two families that are in the same category with similar Subcategories, they will all be controlled under one Subcategory control in the project. This allows you to have an entire set of furniture (for instance) that can have matching materials by use of a single Subcategory, so be aware of what you are naming your subcategories. There is still one more method to look at and that is the Instance Method of applying materials to families. 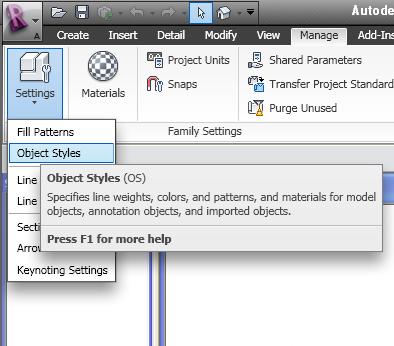 So join us tomorrow for another Revit TotD as we wrap up this series on family materials! I often see people struggling with getting a component in a project to render with the material they want it to render with. 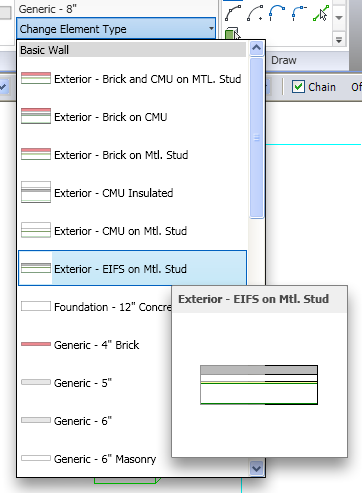 Usually upon inspecting the family that they are using I find that the materials are setup improperly, making it hard for the user to change materials to begin with (this does not include imported components as in from Sketchup or 3DS, those are a different beast all together!). So what I’d like to go over over the next few tips are the different ways to apply materials to families and when to use those different methods. Today is going to be the direct application approach where you apply the material directly to the object in the family. The easiest and most straightforward way to apply materials to objects in a family is to just give that object a material. 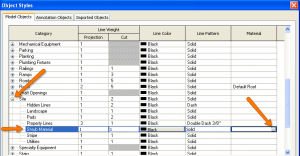 Select the object in the family to apply the material to. All instances need to render the with the exact same material. 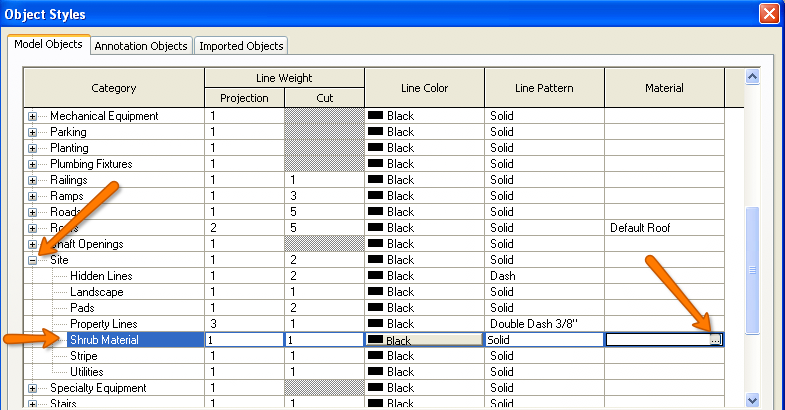 Under Manage Ribbon > Materials, find the material you assigned to the object in the family. You can change that material’s properties here. 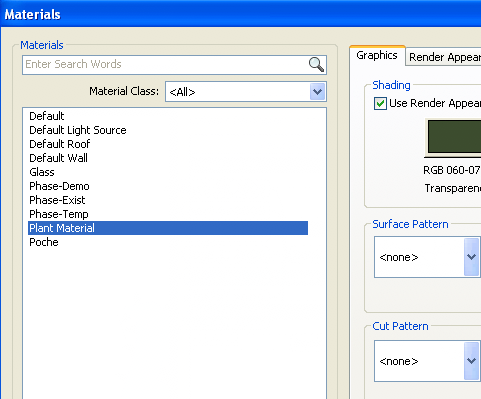 One thing to note by using this method is that if you have have 50 plant objects, that all use the “Plant Material” name for their materials, you are going to have 50 different “Plant Material” listings in your Material (NOT Render Appearance) library. Then you get to find the correct plant material that you are wanting to change. 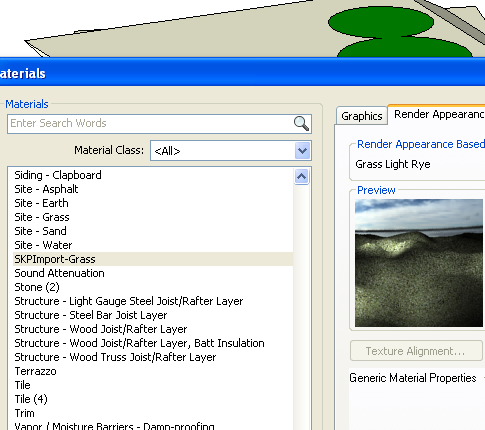 So here’s a little tidbit about creating families, be sure you use a material name that applies to the family (ie: “Shrub-CG_PlantMaterial”) so that the user doesn’t have to wade through a million materials to find the correct one! 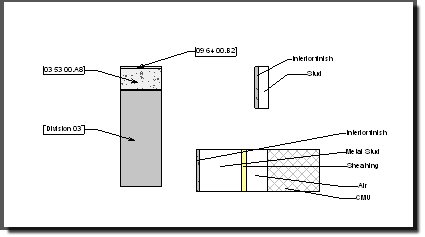 Tomorrow we will go over the Subcategory method of applying materials, see you then for yet another Revit TotD! Trust me, you won’t find anyone more against importing DWGs into a Revit project than me… well you might if you point over to RevitCity.com and browse around, but I’m pretty close to the top dawg in that category. However, I understand that sometimes it’s just the best way to get the job done. 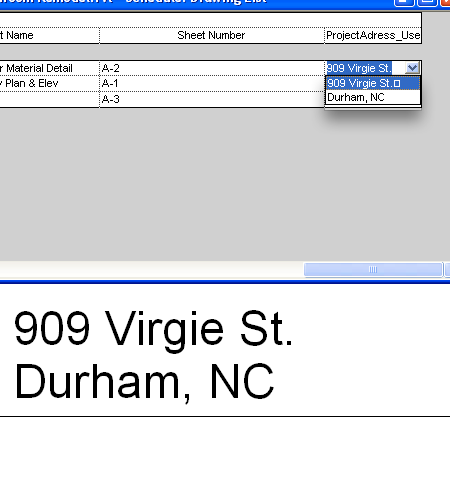 In cases like these there is a very simple way to trace your project in from the DWG. 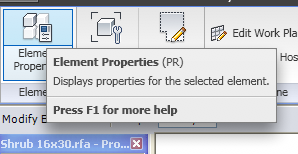 Import the DWG you wish to transfer into Revit. Use the settings that fit your project. Select the wall you want type to place. Choose the wall location line that best fits the way you need the wall to be placed. 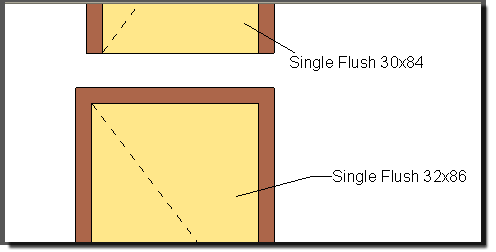 Note that the dashed guidelines that indicate the other side of the wall will only appear if you are not on a Center option (ie: Wall Center, Core Center, etc). Select the “Pick Lines” tool. 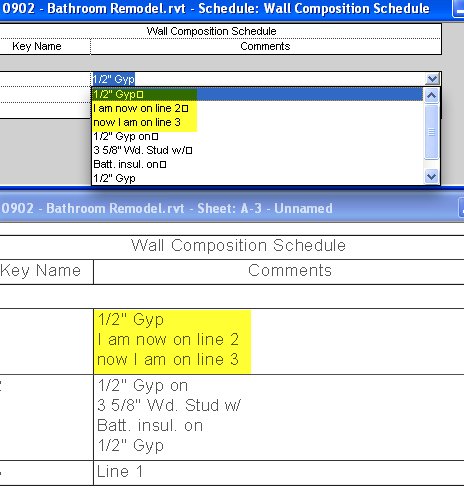 Pick the lines from the DWG (since that’s what they are.. just lines…) to place your wall. Be careful if you have grids or other lines in the same place as the wall because you will need to make sure you tab through to the wall line and not the grid line. 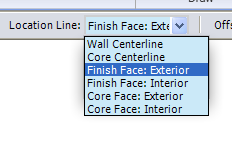 Revit doesn’t know which is a wall line and which is a grid line so it doesn’t care which one you select. It will place that wall where ever you tell it to! 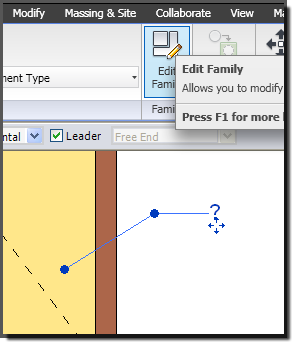 Notice that Revit gives you a guide as to which side to the line the other side of the wall will appear. Pay attention to these and you will speed through the wall placement process. Note that this method works for things like details as well, just import the detail into a detail component or drafting view and trace away to your heart’s content! Another short little tip. I hope this helps you at some point along the way and that I will see you again for yet another Revit TotD! Don’t ask me how I stumbled across this one. It was so long ago that I can’t remember what I was doing to try this. I can remember it being somewhat serendipitous in the fact that it happened naturally, like, this key combo should produce this result. I needed an extra line in my parameter, so I did it. Isn’t it amazing how some of the biggest tips have the smallest amount of explanation? To create multi-line text fields out of your parameters that are of the normal “Text” type, simply type Shift + Enter. This will create a carriage return to another line. There’s really no good way o show this in pictures, so you’re going to have to just try it (or watch the video!). Now, you can’t just get all crazy with the Shift+Enter and do it anywhere you please, no. You will need a schedule to do this properly. So your parameter has to be something that is schedulable (this means shared parameters for those of you doing this with families, ie: Titleblocks). You’ll run into some frustration when you are dealing with parameters that you have done this to, as pressing the down arrow will make it appear as though you are scrolling through parameter values when you may actually be scrolling through lines of text in a single parameter value. 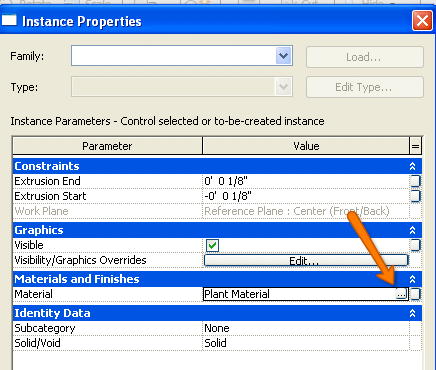 Also, you will notice that you may et an error about having certain symbols in your parameter values. This usually only happens on certain labels that are hard coded into the families (ie: titleblocks). It doesn’t like the “\r” that is returned because ‘\’ is a non allowable symbol. You can’t see the ‘\r’ but it’s there, I promise! Give it a shot! 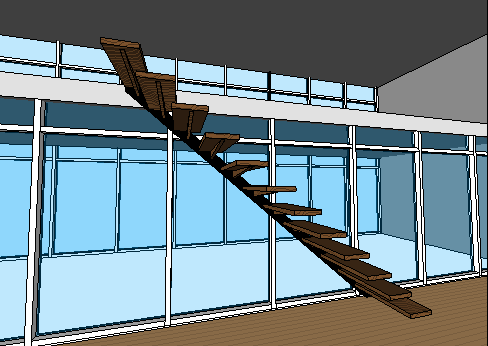 Hope you enjoyed, and I will see you next time for another, Revit TotD! EDIT: I just noticed while watching the video that there is a new behavior in 2010 that was not present before. In the past you were able to select between different Multi-Line parameters after you had placed them (from the combobox), but now if you try selecting a multi-line it will only give you the line you selected instead of the entire multi-line value. While this makes this tip a little less valuable in parametrics, it is still just as useful in most of its uses!